Victory Belt Publishing, 9781628600124, 480pp. life you will ever need. Ben Greenfield is a coach, author, speaker, ex-bodybuilder, and Ironman triathlete. His science-based approach to discovering a potent balance between health and performance has revolutionized the way thousands of athletes and exercise enthusiasts around the world live, train, and eat. Ben now works with athletes, CEOs, and soccer moms alike, helping them achieve amazing feats of physical endurance without destroying their bodies in the process. In 2008, the National Strength and Conditioning Association voted Ben America's top personal trainer. He holds a master's degree in exercise physiology and biomechanics from University of Idaho, and is a certified sports nutritionist (C-ISSN) and a certified strength and conditioning coach (CSCS). He has more than a decade of experience teaching professional, collegiate, and recreational athletes from all sports how to be healthy on the inside and on the outside -- and coaches people of all ages and backgrounds on performance, fat loss, nutrition, lifestyle management, and wellness. In addition to being the head coach and nutritionist for Pacific Elite Fitness and the Rock Star Triathlete Academy, Ben is a consultant for WellnessFX, the host of the Get-Fit Guy and Ben Greenfield Fitness podcasts on iTunes, the author of more than a dozen programs and books for optimizing health and performance, and the owner of EndurancePlanet.com, the world's top endurance sports entertainment website. He also trains and mentors physicians, personal trainers, and physical therapists from around the globe via his mastermind Superhuman Coach Network at SuperhumanCoach.com. "This book takes practical, real-world, time-in-the-trenches thinking to a whole other level. It’s not often I come across a training manual that teaches you how to eliminate chronic pain, balance your hormones, detox your body, maximize fat-burning efficiency, and even hack your brain waves. 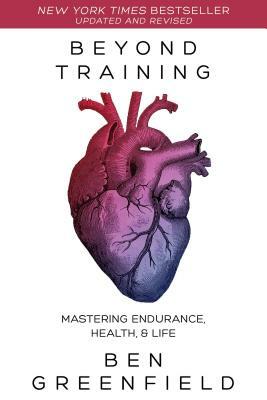 This truly is the last book you’ll ever need in order to master endurance, health, and life."